Jack Barsky was a KGB spy who was plucked from an East German university to go undercover and spy in and on the USA. He remained undetected for many years. In this episode of Spybrary Spy Podcast he shares his story of life in the former East Germany, his spy training, life and challenges as a spy and his eventual capture by the FBI. 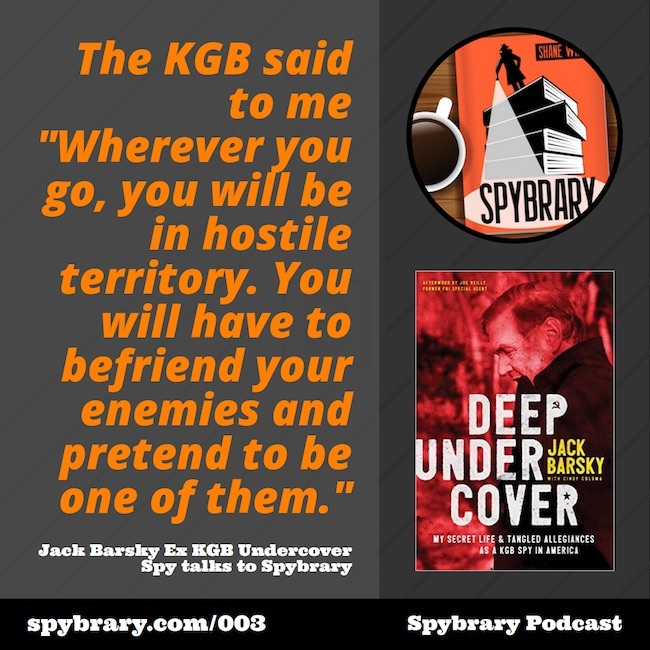 Born Albrecht Dittrich in 1949 in East Germany, Jack Barsky recounts his meticulously prepared career as a KGB spy, his mission as an embedded agent in the United States, his refusal to return to the Soviet Union in the late 1980s and his eventual capture by the FBI. I would have doubted the truth in this book if it was not the afterword written by the FBI agent Joe Reilly who first apprehended Barsky. “You will have to disappear from your current life, and nobody—not even your mother—will know where you’ve gone. As far as most people are concerned, you will have vanished into thin air. Wherever you go, you will be in hostile territory. You will have to befriend your enemies and pretend to be one of them. Communication with Moscow will always be indirect and will always take time, and you will have to make many decisions on the spot without the benefit of advice.” The KGB to Jack Barsky. It should come as no surprise that we overshot the hour we had agreed upon for the interview. Jack Barsky is a spy who for decades could not talk about his secret life with anyone other than his KGB handlers back in Moscow. Shane Whaley a spy buff who has never knowingly talked to a former KGB spy before could not resist the opportunity to find out more about his life in the German Democratic Republic, the spy training the tradecraft etc so we broke the episode down into 2 parts rather than ask you to listen tor almost two hours. 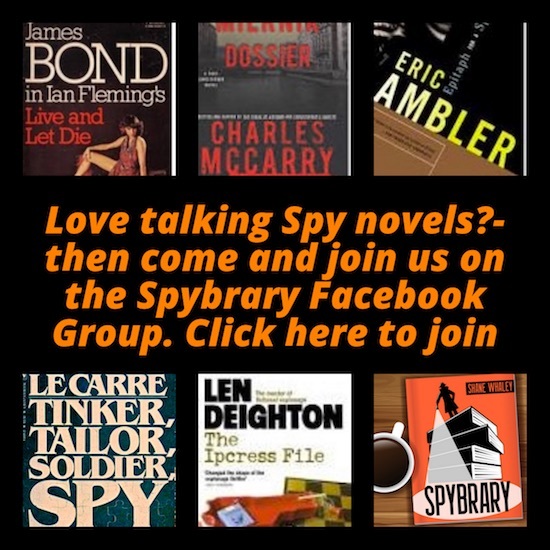 Part 2 of the Spybrary Spy Podcast interview with Jack Barsky will air next week here. How were you recruited to be a KGB spy? Why did he work for the KGB and not the East German Stasi? His feelings about the erection of the Berlin Wall? What were his views about West Germany? What did he think of the East German leadership especially Ulbricht and Honecker? What did he learn in his 2 year training as a spy? Was he forced into being a spy? How did he learn English and to speak it like an American? What tips can he give language learners?